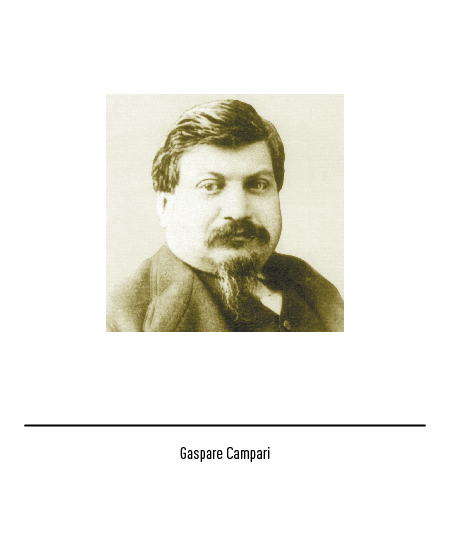 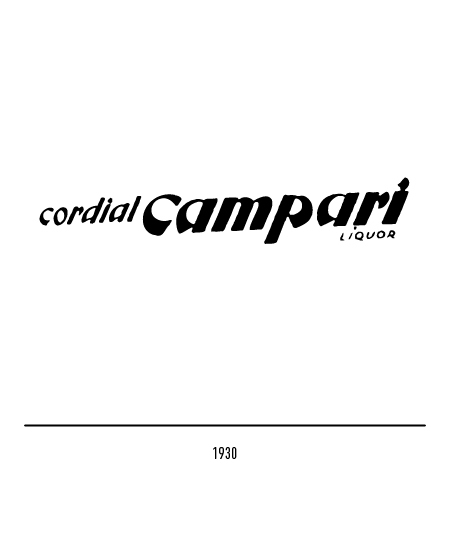 Gaspare Campari, distiller, opened the firm's first establishment in Milan in 1860. 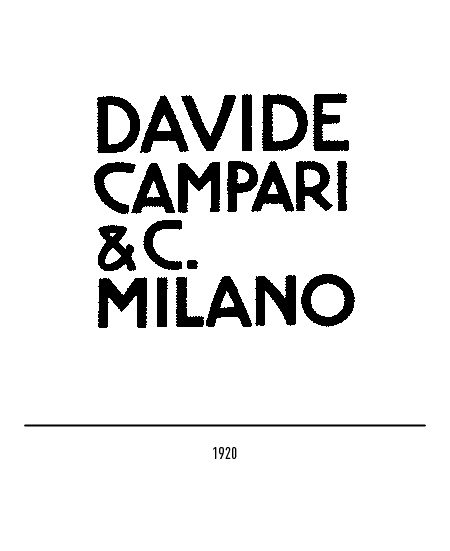 At the death of the founder in 1882, one of his five sons, Davide, brought about radical changes in the firm, setting it on the road to international fame. 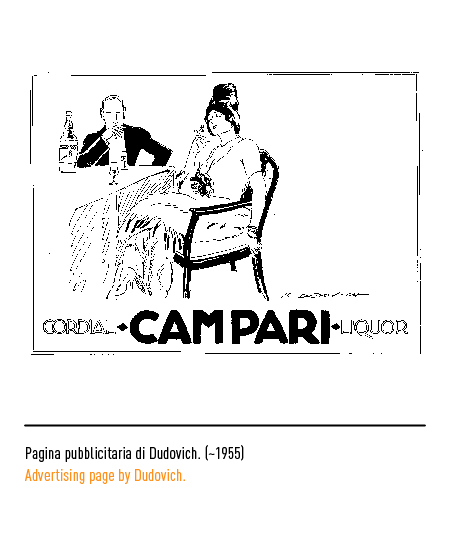 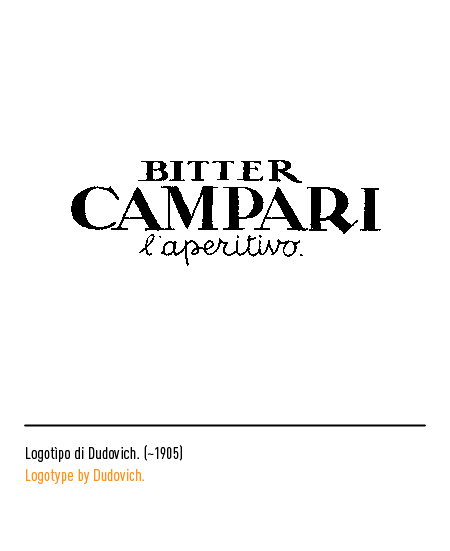 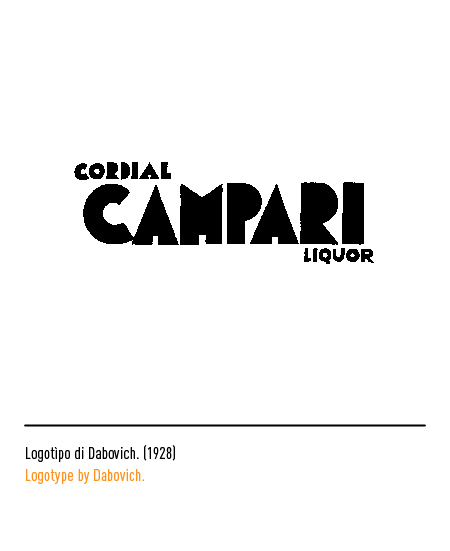 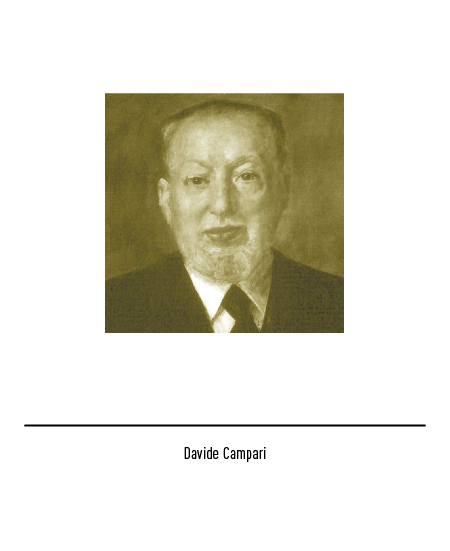 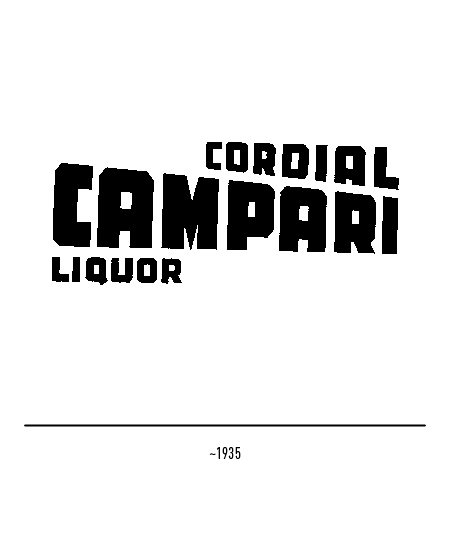 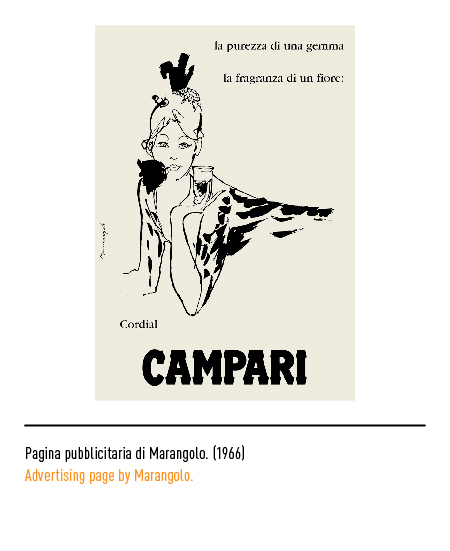 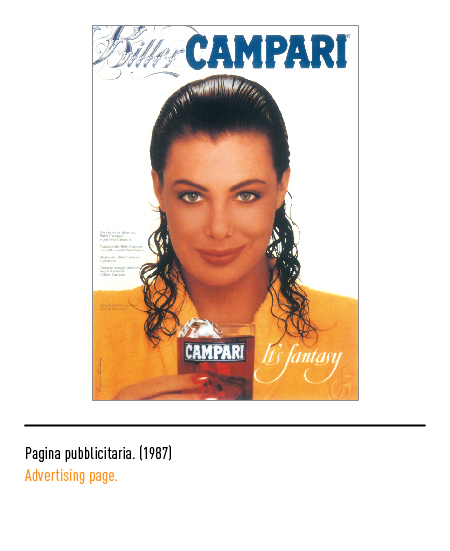 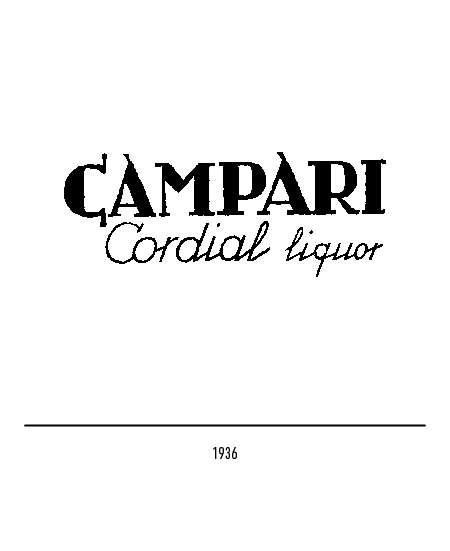 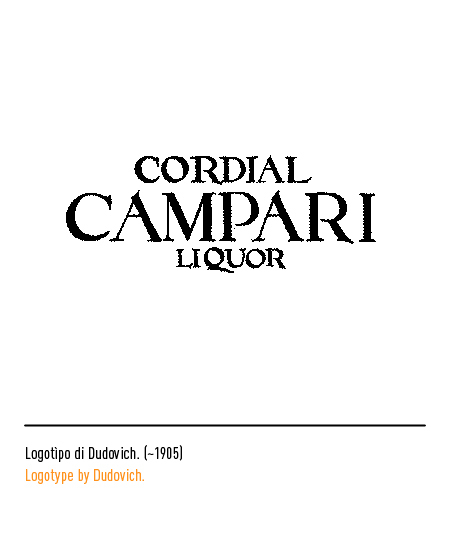 In 1902 its name was changed from "Liquoreria Campari" to "Gaspare Campari-Fratelli Campari successori" and then again to "Davide Campari & C." Davide Campari spared no resources when it came to investing in communications. 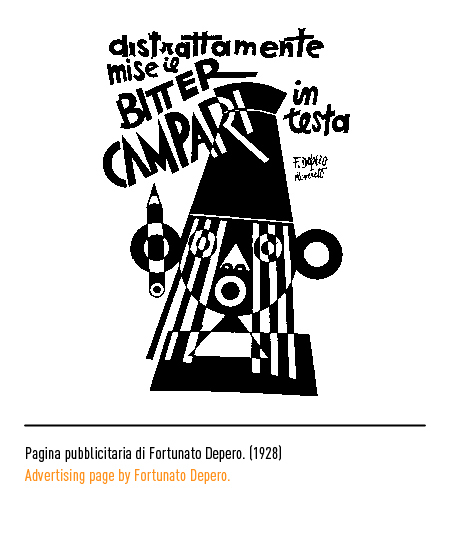 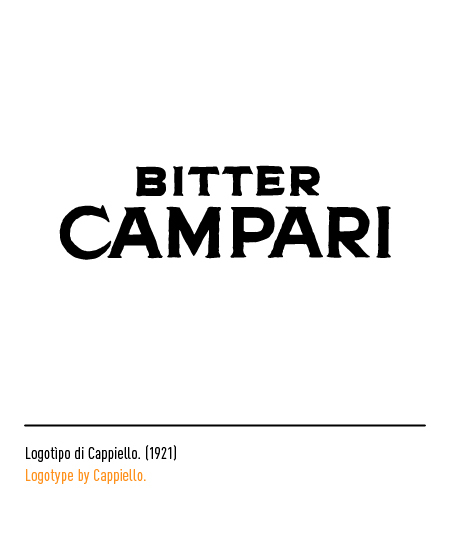 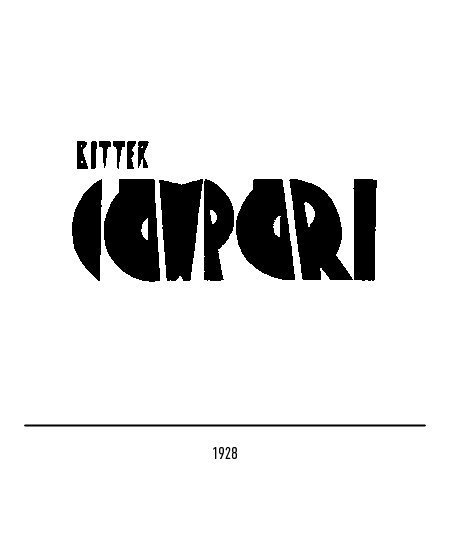 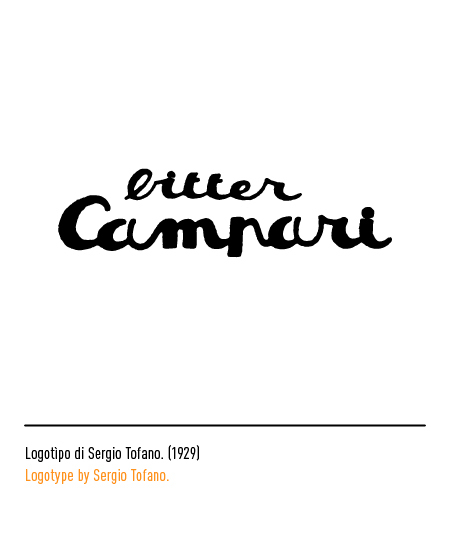 The superlative collection of posters that are Camapari's legacy boasts designers of great renown such as Fortunato Depero (who in 1928 also designed the original small Campari Soda bottle), Marcello Dudovich, Marcello Nizzoli, Erberto Carboni, Leonetto Cappiello, and Bruno Munari (who designed one of the most famous posters of all in 1964). 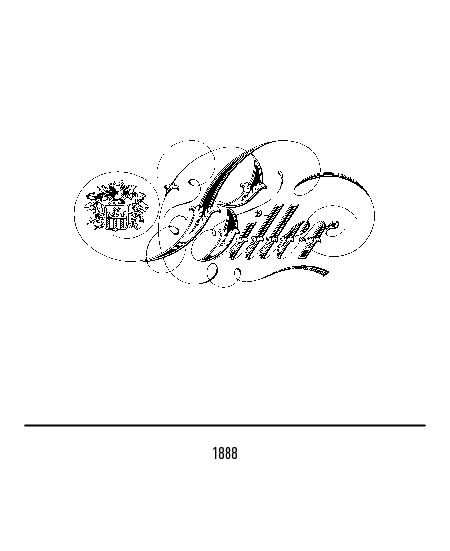 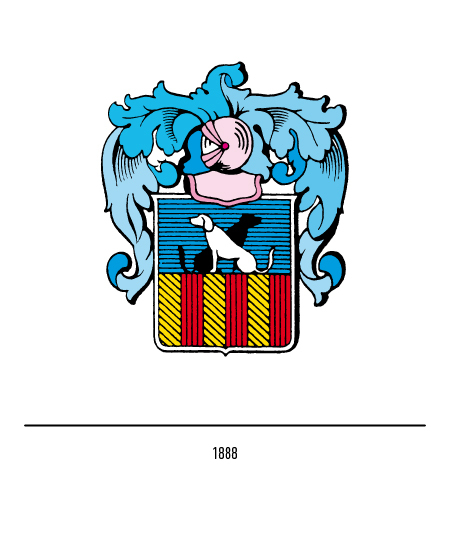 The first brand-names, "Bitter" and "Cordial", were registered in 1888 together with the family coat-of-arms portraying "…a shield adorned by the figure of two dogs in the act of being petted surmounted by a helmet with ornamental leafage". 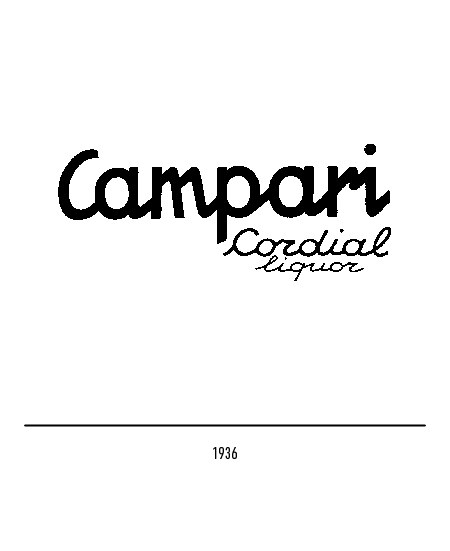 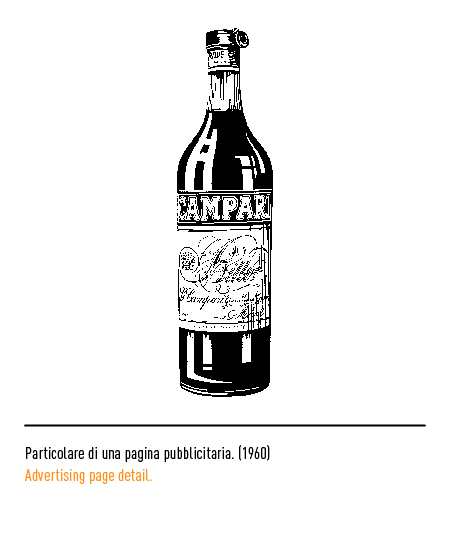 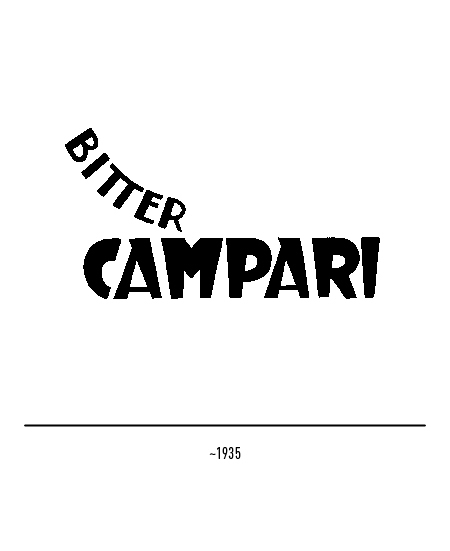 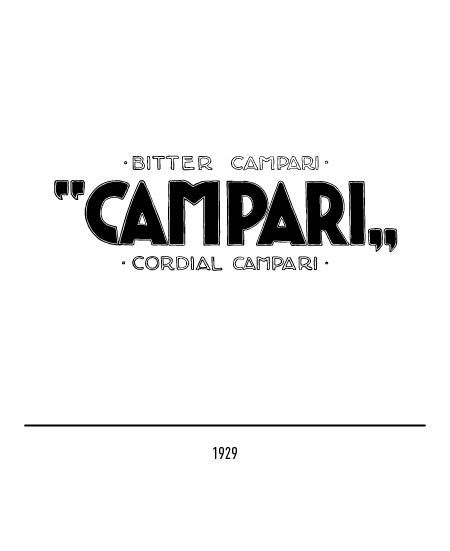 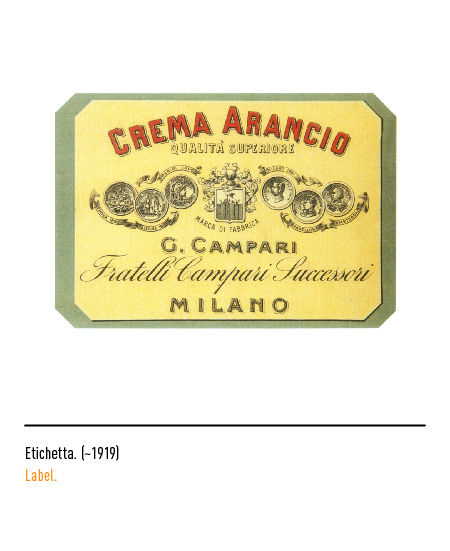 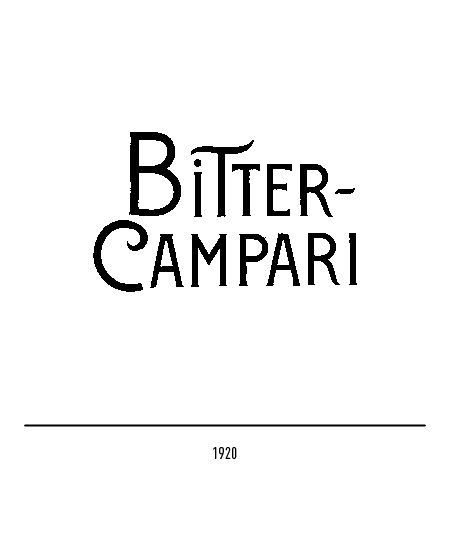 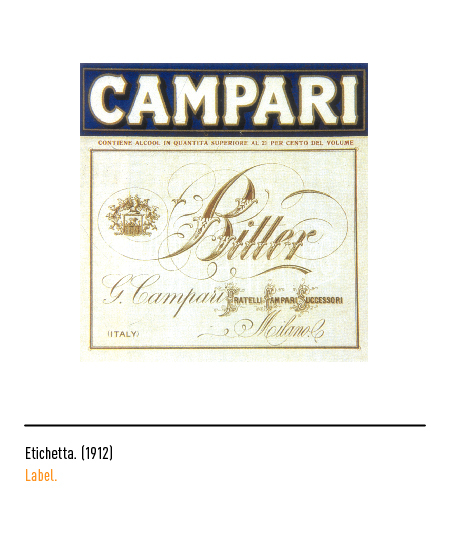 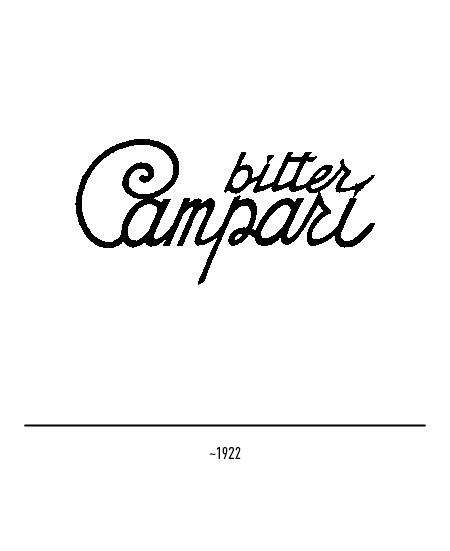 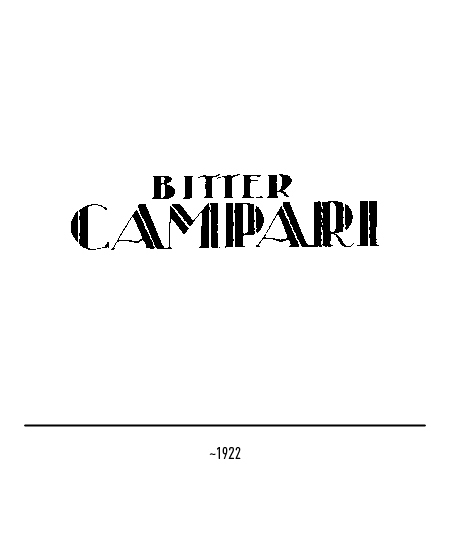 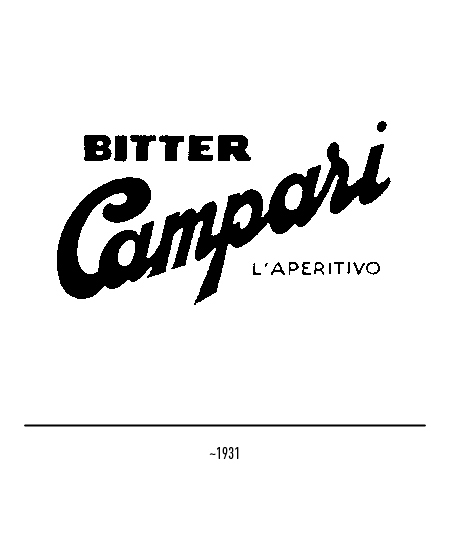 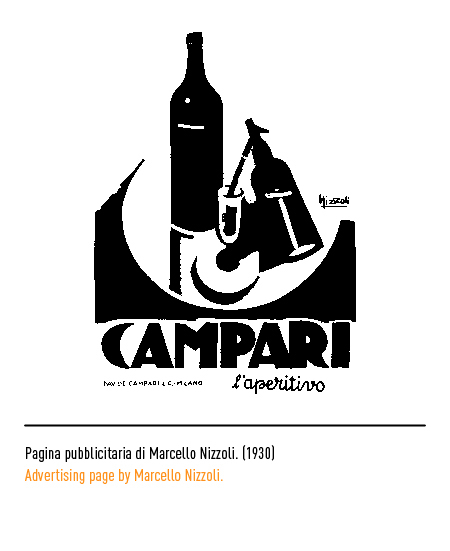 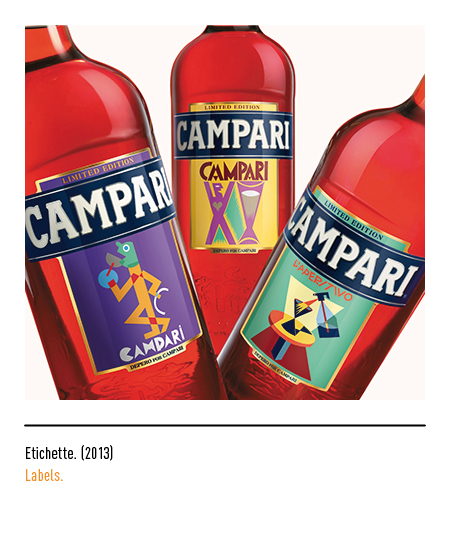 Campari's trade-mark has been often changed, even radically, over the years. The firm's policy has in fact always been to update its image selecting designs stylistically consonant with the prevailing tastes, fashions, and artistic trends. 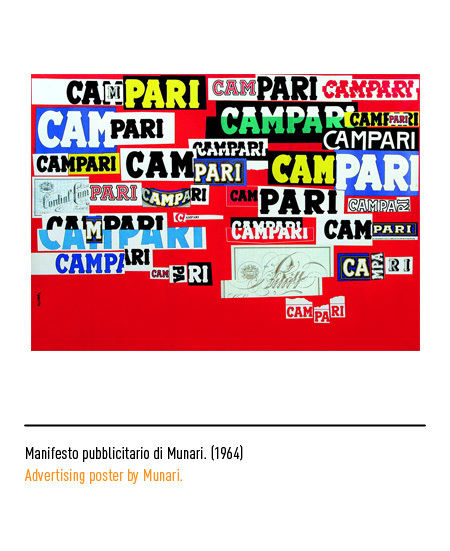 This approach to visual communication, quite the reverse to that of corporate image conservation and continuity, has become typical of the firm and indeed imitated by others, so much so that it has come to be known as the "open corporate identity" approach. 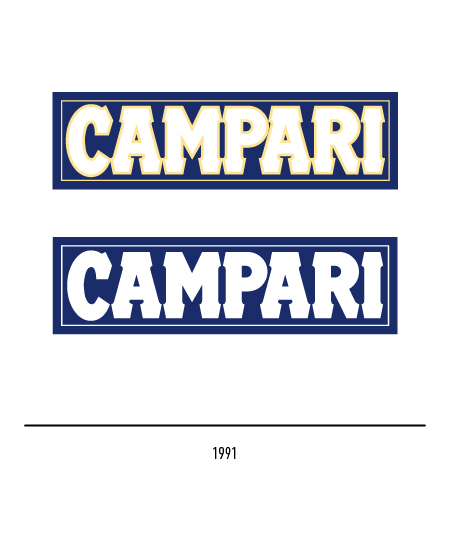 In 1987, however, it was felt that some graphic design standards had to be bench-marked. 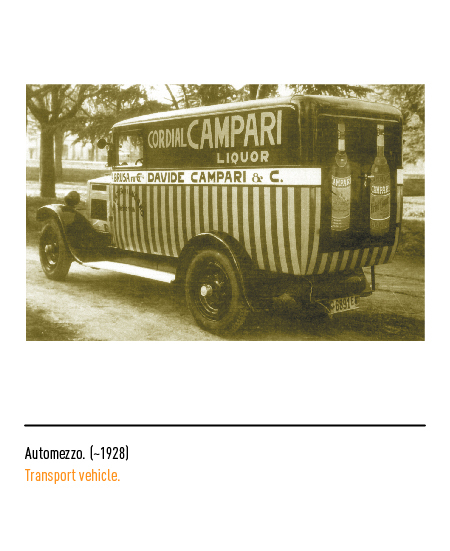 This operation was carried out by G&R Associati who approached their assignment in what may be termed a spirit of restoration. 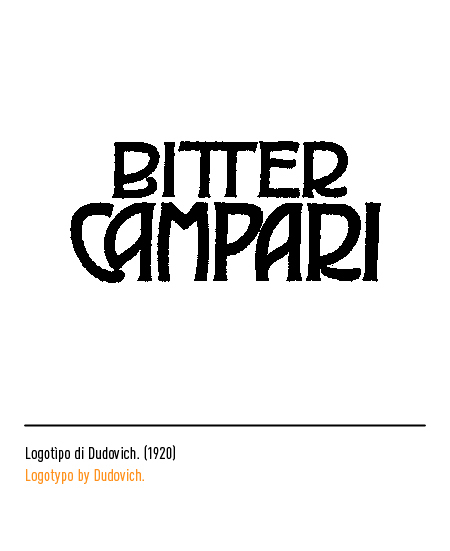 A century of graphic design stratification was sieved through in a philological study of the logotypes. 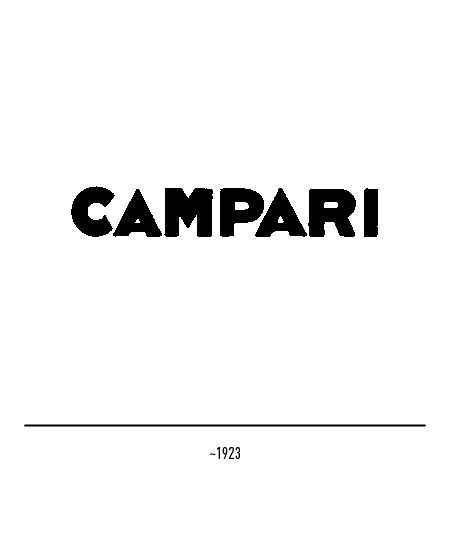 The most commonly used ones were short-listed and the Campari logotype registered in 1912 was finally selected as it was seen to have been the one most frequently adopted after the Second World War. 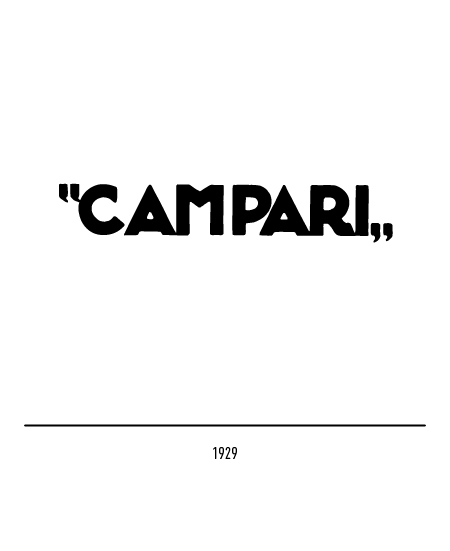 AAVV, TRENT’ANNI E UN SECOLO DI CASA CAMPARI, house organ Campari.